This model was built to serve as a general introduction to the understanding of the principles underlying accelerator operations in general and more specifically colliders. The public can actually see and manipulate the controls and therefore easily grasp what is happening. 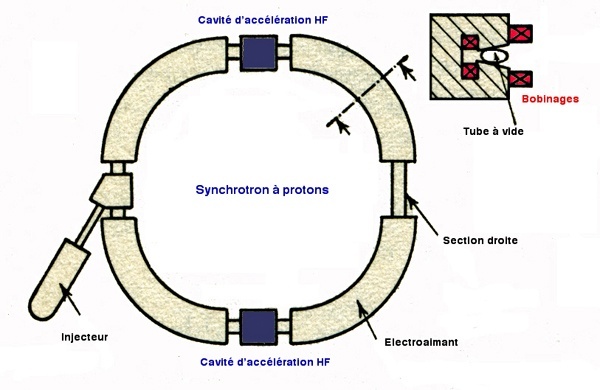 The model is a small electron mockup of the Orsay proton storage ring (Anneau de Collision d’Orsay, ACO) at LAL. ACO was in service as a collider from 1965 to 1980 with an energy of 500 MeV for each beam. The real accelerator is now a museum, listed on the French heritage register. Looks like an excellent diy Physics project! Please share any technical/construction information that you may have on this or a similar project! Can’t find details on who built it or how they did it. I think that this is the injector plans. Wouldn’t a hot cathode be more effective? 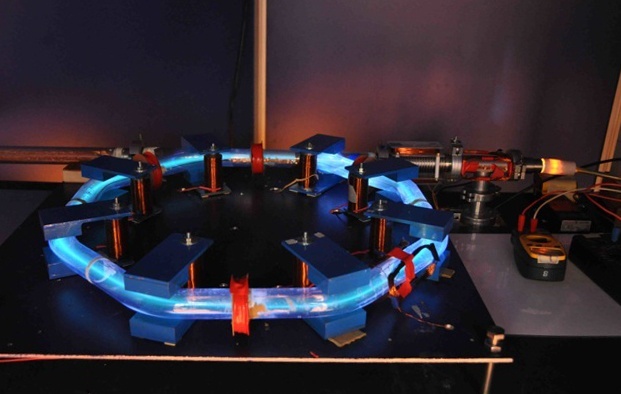 Next trick is to figure out how to build the accelerator ring. Has anyone been able to come across any additional details on this project? Or for that matter has anyone been able to construct a like demonstrator? It has been about two years since the last post on this article and having just come across this spectacular project myself, I’m a tad curious.